This exhibition provides a great opportunity to buy a portrait by an artist considered to be the greatest miniature painter of his era. A Portrait of Richard Twining (1749-1824) by John Smart. 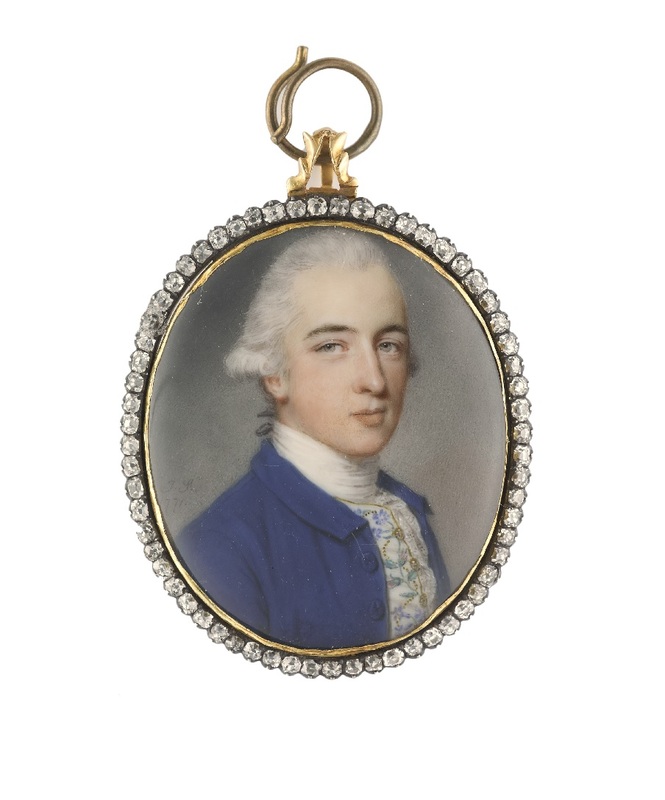 Watercolour, silver-gilt bracelet clasp frame with diamond border. Signed with initials and dated ‘J.S/1771’. Oval, 39mm (1 . in.) high. © Philip Mould & Company. 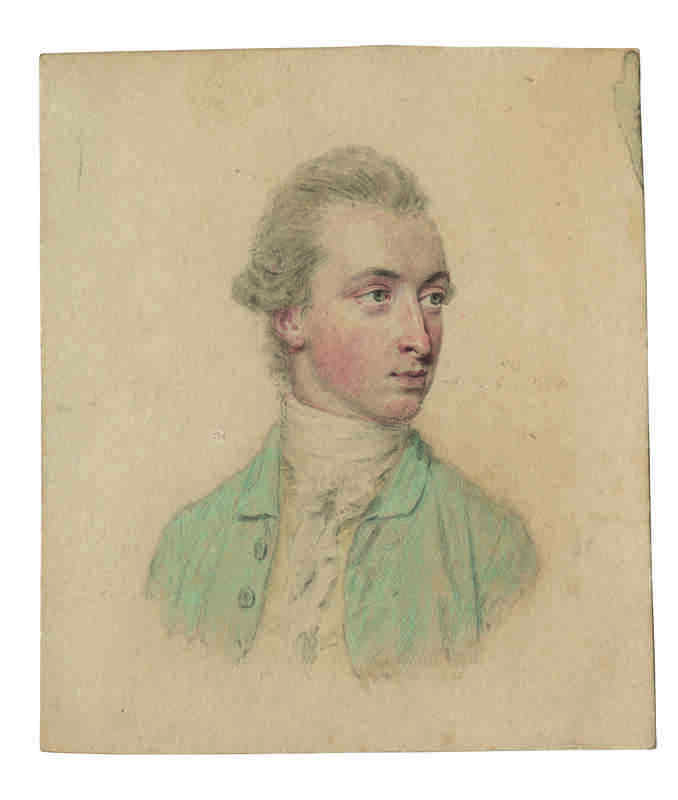 Thanks to diligent research by the gallery’s Emma Rutherford and researcher Lawrence Hendra we now know more about the life of John Smart (1741-1811). Although thought to have come from Norfolk they have discovered that he was a Londoner, from Soho. with white ostrich feathers, by John Smart. initials and dated ‘J.S/1785/I’, Oval, 50mm (2 in.) high. His sitters were mainly drawn from the wealthy merchant classes and this in 1785 led to him to India where he remained for the next ten years. Sitters from this time can be easily identified by the fact that he added the letter I to his signature and also the faces of the Caucasian sitters portrayed show signs of sunburn or are flushed from the heat. He also did some sketches of Indian subjects while he was in Madras. 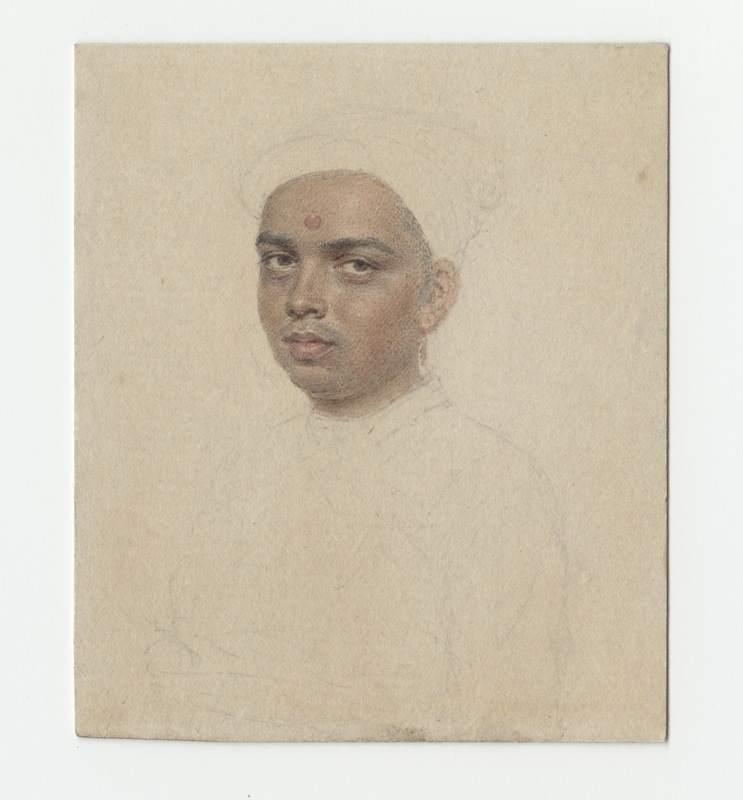 A Young Hindu, probably called ‘Venkataramman’, wearing a jamaand turban by John Smart. He returned to London in December 1795 and moved into 20 Grafton Street (just a stone’s throw from the gallery) where he again flourished. 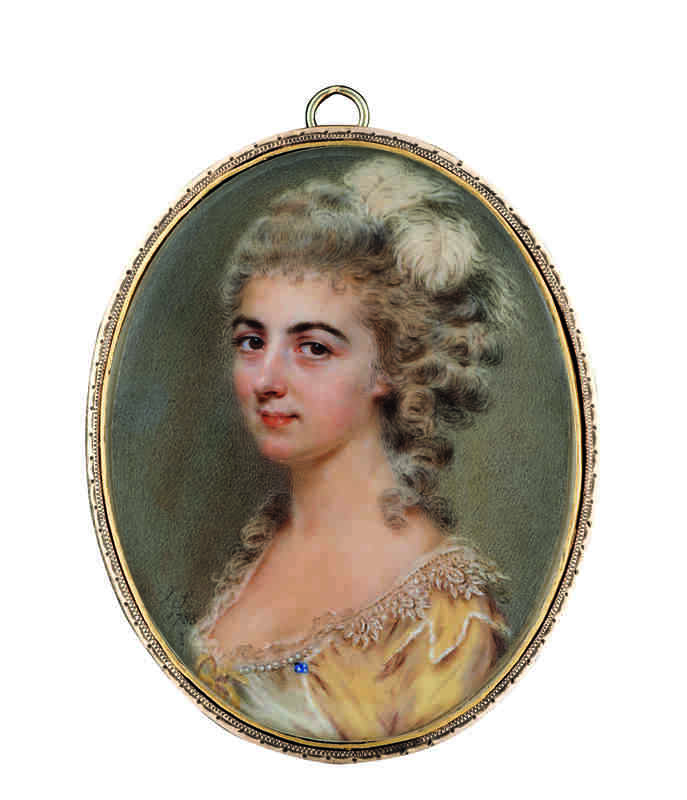 Patrons paid 25 guineas for a miniature which is a similar amount to that paid to rent a London town house for a year. A Young Girl, possibly Miss E. Lambert, wearing a décolleté white dress with thin gold waistband, her hair worn short by John Smart. Watercolour, gold metal frame, the reverse with central aperture glazed to reveal brown plaited hair, red leather travelling case. Signed with initials and dated ‘J.S/1804’. Oval, 80mm (3 ⅛ in.) high. The collection comprises of forty-five works and has been accrued over a period of nearly three decades by a European collector who loves the skill and precision of Smart’s painting. It is the first time that the collection has been publicly exhibited. 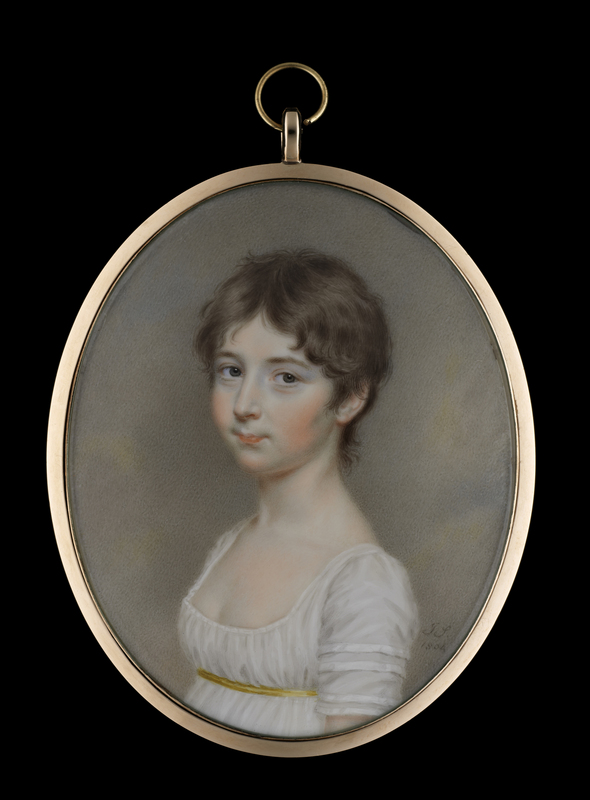 A Lady, identified as ‘Miss Byron’ by John Smart. 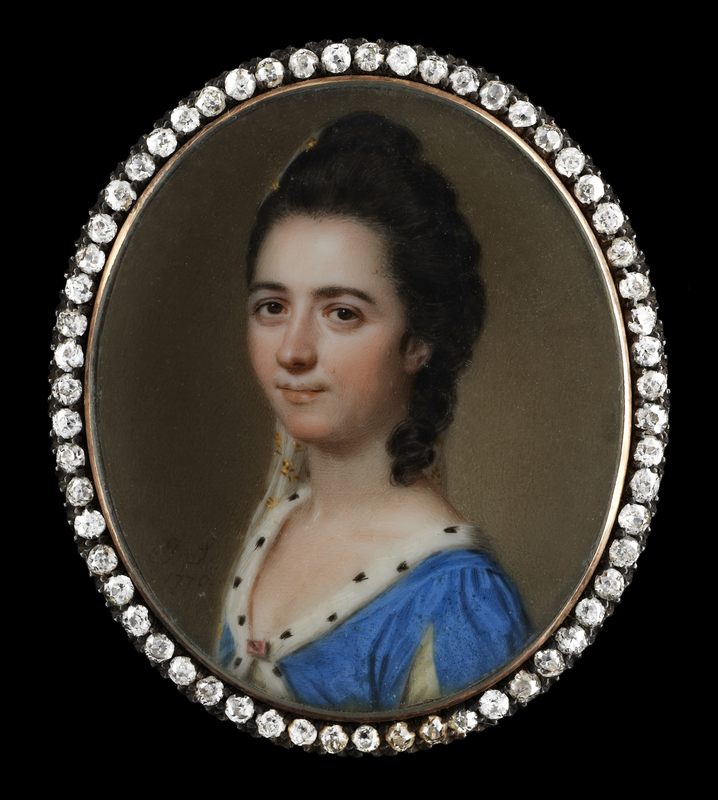 Watercolour, diamond-edged gold frame, inscribed on the reverse ‘Portrait of/Miss Byron/by John Smart/signed J.S.1770’ in shagreen travelling case, oval,38mm(1.in.) high. John Dalrymple, 6th Earl of Stair (1749-1821) by John Smart.